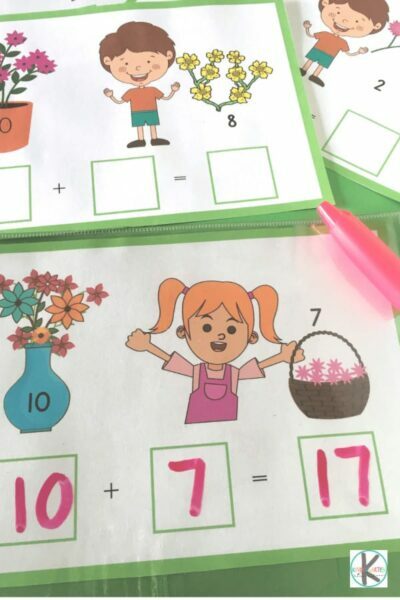 Make practicing adding numbers into the teens fun with this free printable Teen Number Sums perfect for kindergartners in the spring. 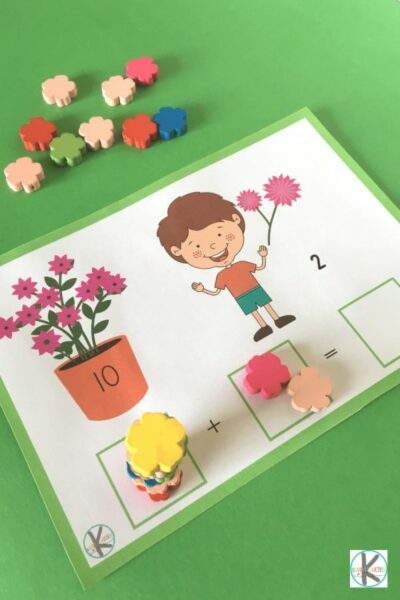 Make math fun with this LOW PREP kindergarten math activity where students will add flowers to find the sum. This addition within 20 math activity is a great way to gain math fluency with teen numbers! Counting on after 10 is sometimes a confusing matter for young students. Lots of practice will help in this regard and making it fun will even help more! Simply print, cut the cards and laminate, or use a dry-erase pocket, provide counting manipulatives and a dry-erase marker. All ready to have fun practice with teen number sums! The are 10 flowers in the pot/vase, now add the flowers the child is holding to the 10 in the pot. Use the blocks below to write the number sum and to add your answer. Some learning will do well only counting the flowers, others might need to count out manipulative to find the answer. The use of counters like these flower beads helps a child to count accurately and get to the correct answer. 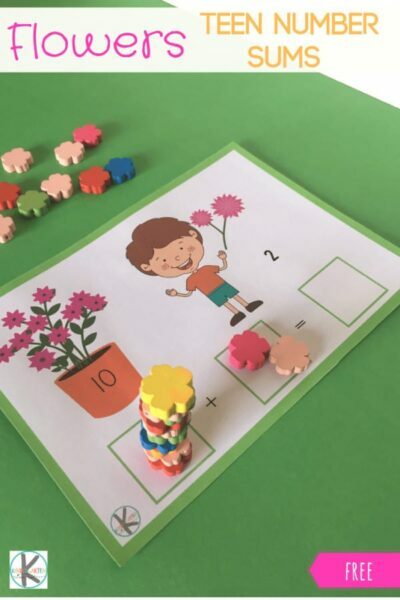 You can use any type of counting manipulatives, we used flower beads here, but mini erasers or buttons are great to use too especially if it is pretty flowers! 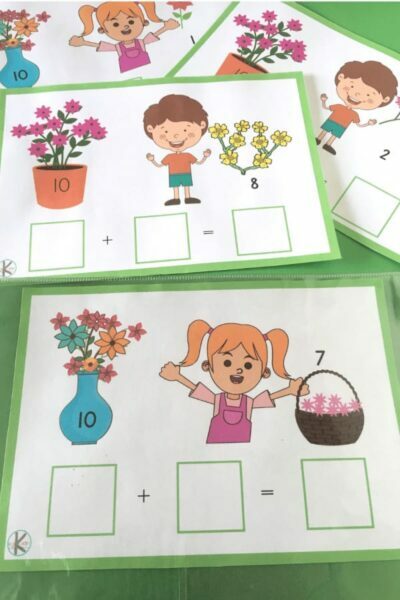 This activity will work well as an independent activity in your Spring themed Math center. 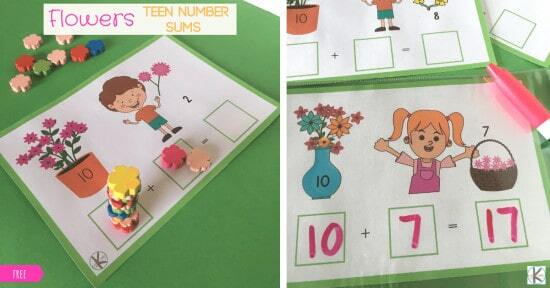 Work on adding those teen numbers with our free flower teen number sums printables!